The elements of backlit onyx provide a seductive and fantastic character to those interiors in search of differentiation. 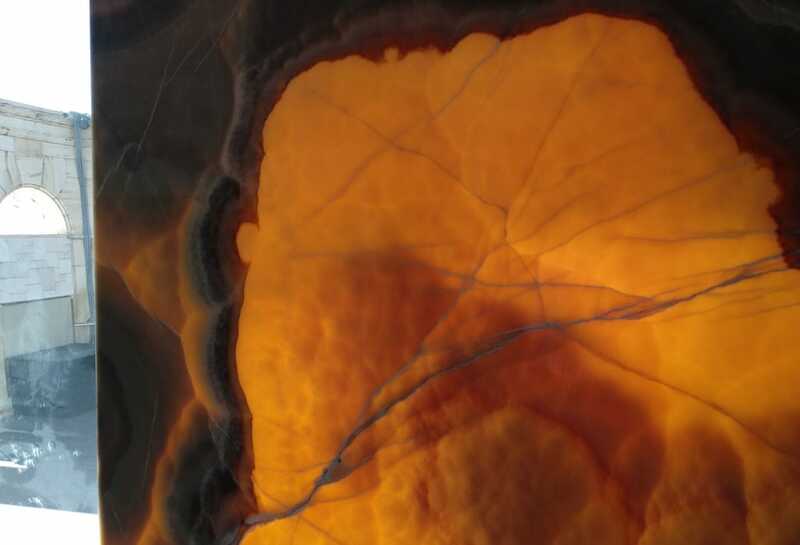 The translucency of this gemstone is simply fascinating as it is even capable of conducting natural light. In the image, we see an Orange Onyx iron in front of one of the windows of the TINO Natural Stone showroom in Marbella. For the designer of this living room with views, there are two fundamental factors: light and natural stone. 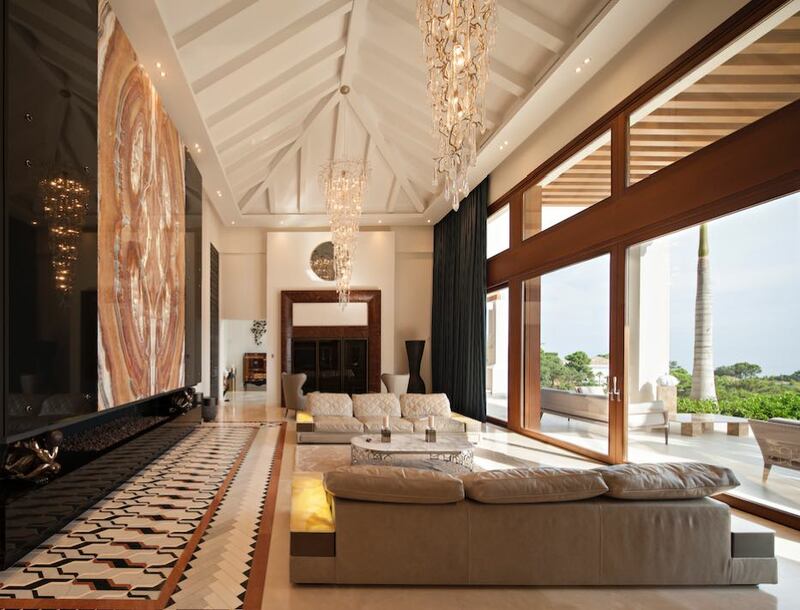 For this reason, in addition to placing an imposing Orange Onyx plate on the main wall, backlit armrests of White Onyx were added to the sofas. This exclusive design was applied to a bathroom that seeks the game of contrasts between the colors that make up its luxury materials. 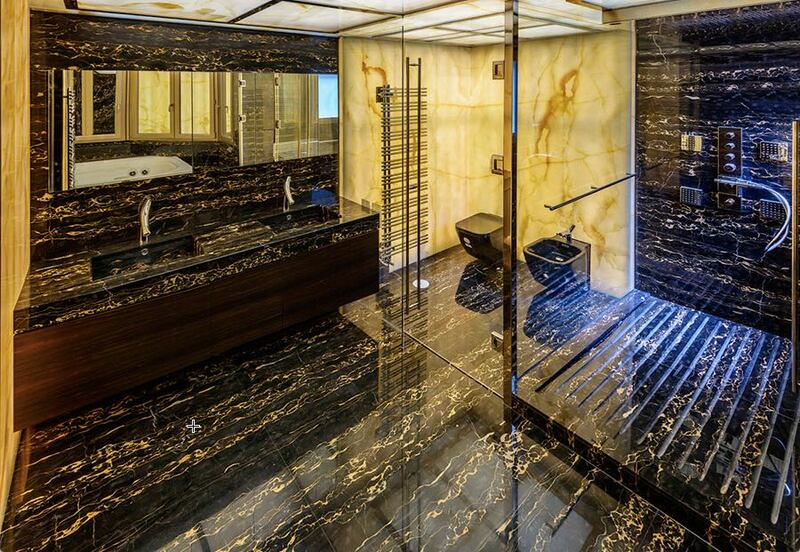 On the one hand, a black marble, specifically Portoro, one of the most magnificent natural stones in the world, brings a deep jet black mixed with vivacious white and gold veins. 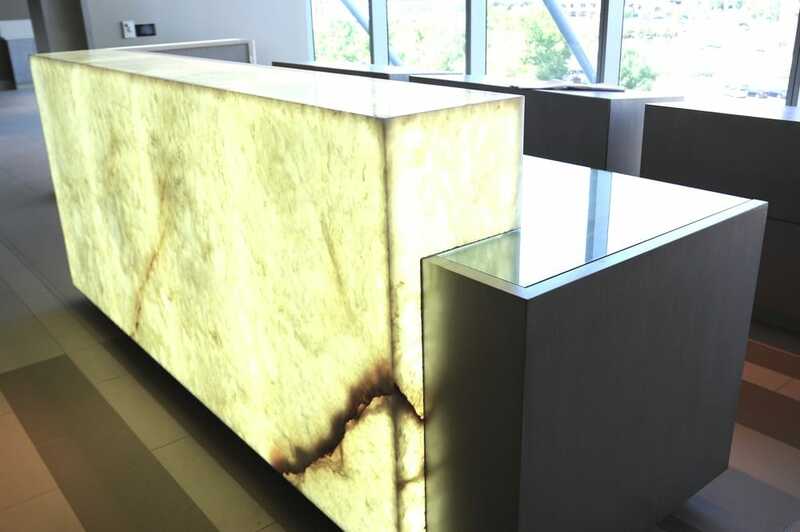 Meanwhile, an impressive backlit white Onyx corner embellishes the surroundings, enhancing the brightness of the veins of Portoro with its light. A dream gym for a luxury villa in Marbella. The Onyx Fantasy columns work as an element of light and ornamental addition at the same time, giving the environment a hypnotic charm, ideal to concentrate on exercise and well-being. 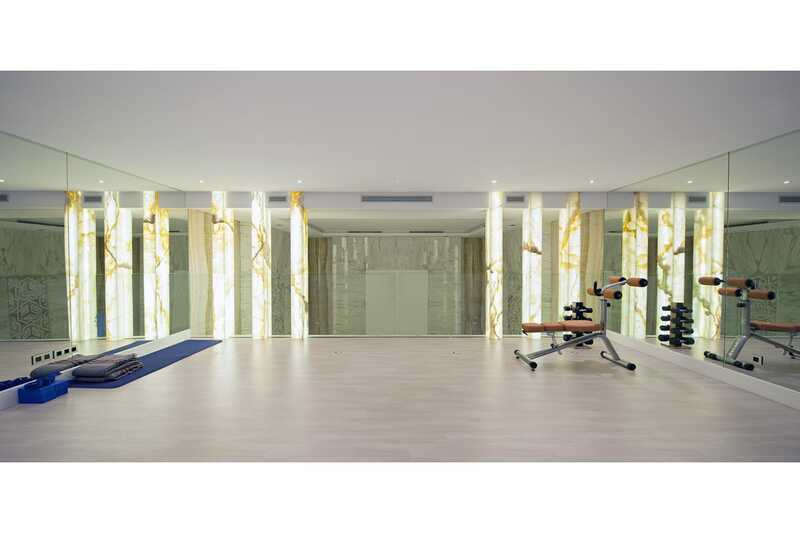 In addition to the Onyx Fantasia, TINO Natural Stone, as the marble supplier in Marbella, also provided Calacatta white marble and White Onyx for the spa, gym and indoor pool of the residence. The magical luminescence of this Spa reception works in anticipation of the sensational wellness experience that awaits you once inside. 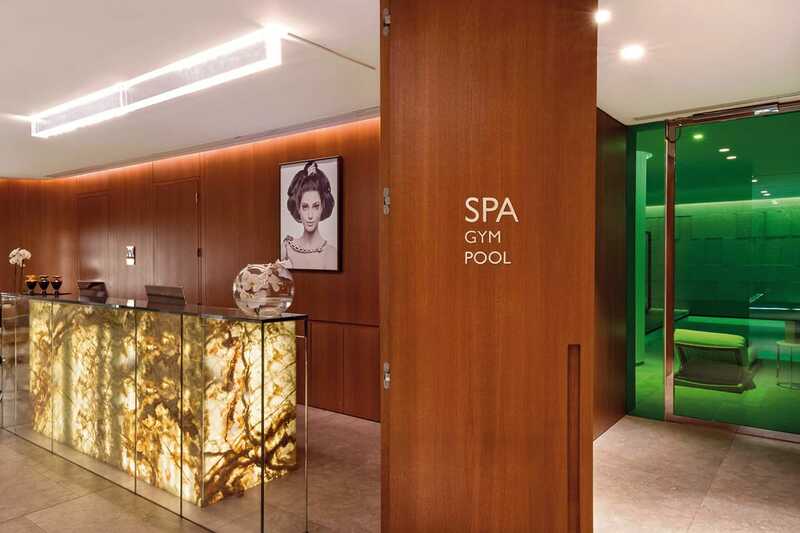 This backlit Green Onyx counter is located in the Bulgari Hotel in London. TINO Natural Stone was selected as the marble supplier in London to provide the natural stone coverings of this magnificent hotel. We show another counter, in this case, made with backlit White Onyx. We can see how the light element with natural stone is perfectly integrated into the piece of furniture. 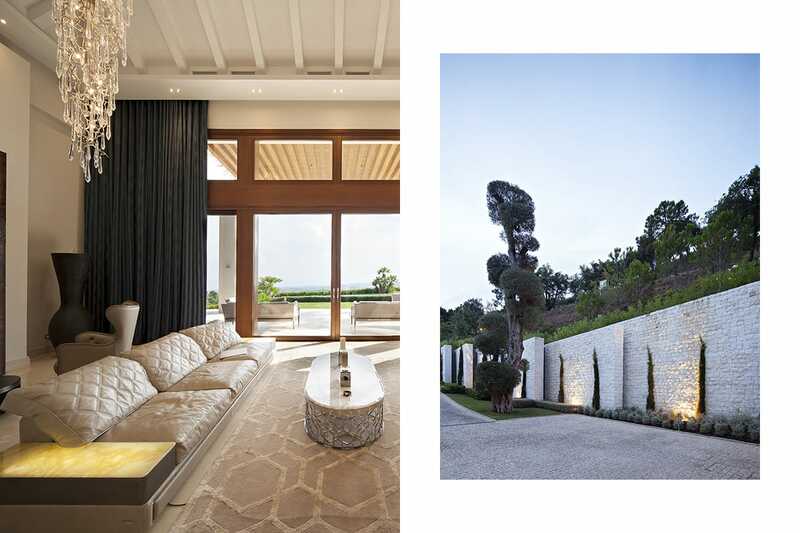 You may also like “Onyx walls, the perfect union with nature“. Are you thinking of including backlit onyx in any of your projects? Explain to us your idea using the contact page.